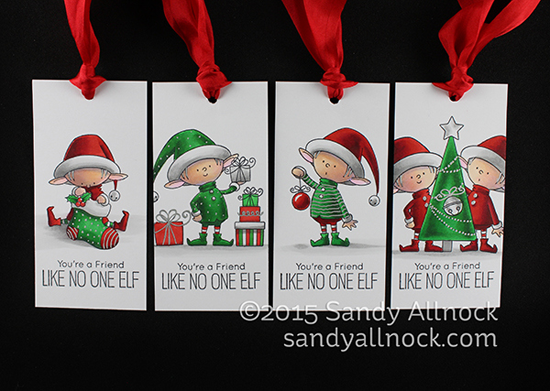 Design Team Member Teri Anderson spotted Sandy's fantastically colored elves from our Santa's Elves stamp set. 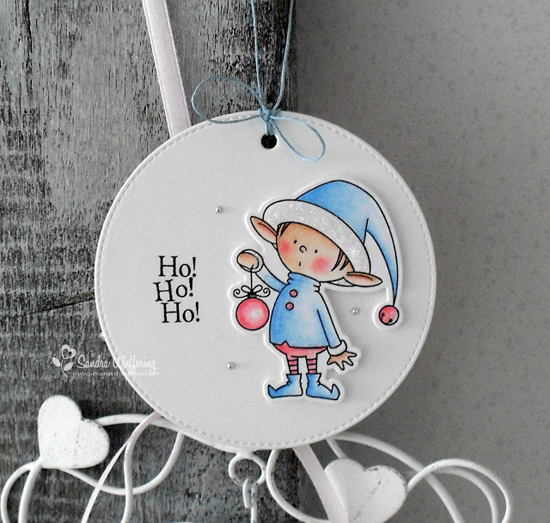 Sandy includes a video on your blog post detailing how she colored the elves in these tags. She said, "Could this stamp set BE any cuter??" I really don't think they could be! Challenge Team Member Jill Dewey Hawkins spotted Rachel's card in the MFT Flickr Pool. Using Jingle All the Way, Rachel rocked her second attempt at no line coloring. Jill says, "I can't stop looking at how awesome Rachel's coloring on this one is! :) Second attempt at no-line?! Wow!" I hope I'm on Rachel's Nice List, don't you? 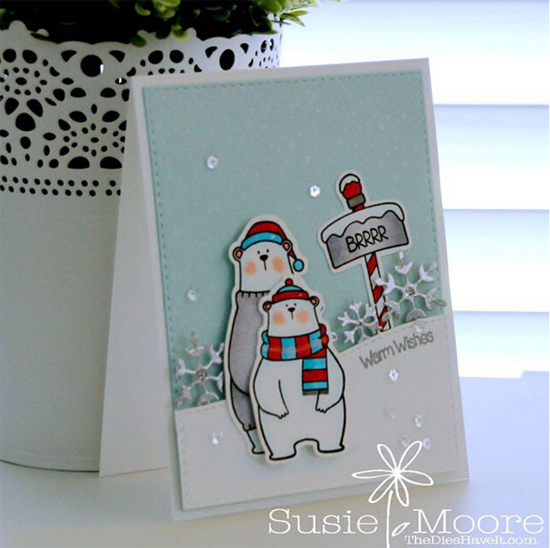 Design Team Member Lisa Johnson spotted Susie's darling card on Instagram through #mftstamps. Susie created this cutie for the Online Card Class called Holiday Style. We love what she did with our Cool Day stamp set! Design Team Member Torico spotted Sonja's fun card on her blog. Torico says, "Love this card by SonjaK! Her coloring is beautiful, and I especially love how she colored Santa's beard. The background is awesome!" 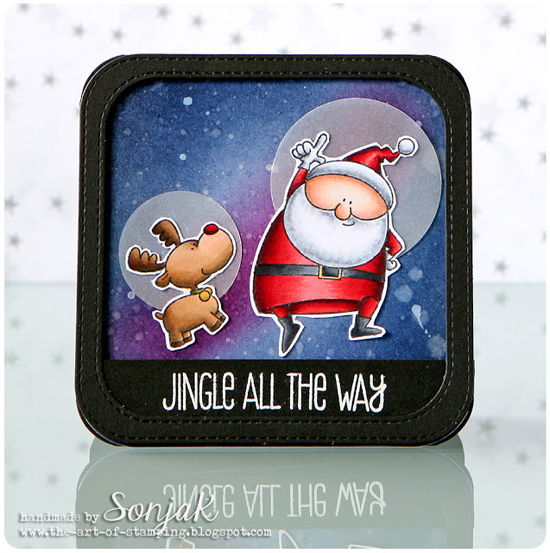 Yep, Sonja had a lot of fun with our Jingle All the Way stamp set! Thanks for using MFT, ladies! You've left us inspired, and that's what it's all about! See you tomorrow for the next Sketch Challenge, and look for a new MFT Color Challenge on this Thursday, December 10th! Oh these are all WONDERFUL, congrats everyone!! Thank you so much for featuring my card! You totally made my day! 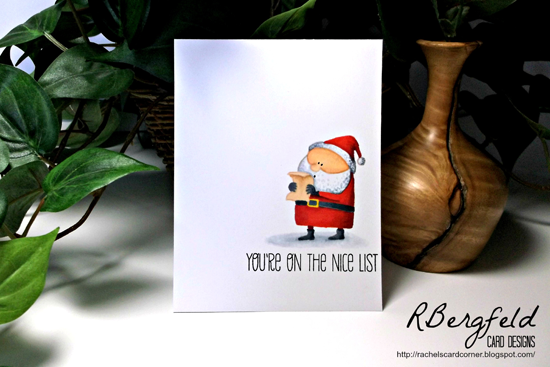 Oh my, thank you SO much for featuring my card in this post! So excited to be featured among all of those talented ladies. Ohmygosh - so excited you noticed my lil tags! Thanks for sharing - great projects, everyone!! Fabulous work and all very inspiring! Thank you for spotting my card. Squeal-x a million.